With only three league matches left, Ashley Coates’s side are still attempting to climb the table. Following Saturday’s last-minute 22-21 victory at North Hykeham they welcome Nottinghamians to the Princess Royal Sports Arena. 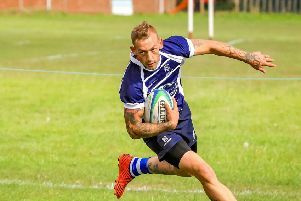 Twelfth-placed Nottinghamians sit six places behind the Blue and Whites. The Development side host Lincoln University (both 3pm KO).